Bert Gallery, located along the Providence waterfront at Corliss Landing, 540 South Water Street, begins its twenty-five year anniversary with the exhibit, In Their Own Way: Vintage Watercolors by Providence Artists (1890 – 1960). New Gallery Hours! The gallery is open Wednesday through Friday from 11am-5pm and Saturday 12-4pm, closed on Sunday, by appointment Monday and Tuesday. Call ahead – we are often at the gallery working during off hours! Free parking is available on the street in front of the gallery or in the parking lot across the street. Exhibits are free and open to the public. The artistic community in Providence has always been in step, or a step ahead, of American art trends. For many years, watercolors were considered an inferior art form as compared to oils, but by the late 19th century watercolors found an audience among artists, collectors and museums. A very fine group of Providence artists emerged in 1880 on par with other colleagues across the country. American art giants, such as John La Farge (1835-1910) and Winslow Homer (1836-1910), showed their watercolor mastery in Rhode Island venues further fueling the local enthusiasm of the medium. Rhode Islanders Sydney Burleigh (1853-1941), H.A. Dyer (1872-1943) and Mabel Woodward (1877-1945) ushered in a new level of excellence in watercolors, and by the early 20th century, modern trends emerged among top watercolorists, such as Edgar Corbridge (1901-1988) and Florence Leif (1913-1968). In the Providence arts arena, Sydney Burleigh (1853-1941) was the earliest Rhode Island artist to achieve recognition for his mastery of watercolors. The Providence Journal, who stated, “The only professed watercolorist in Providence is Mr. Sydney Burleigh”, validated the Little Compton native’s forte in 1885. 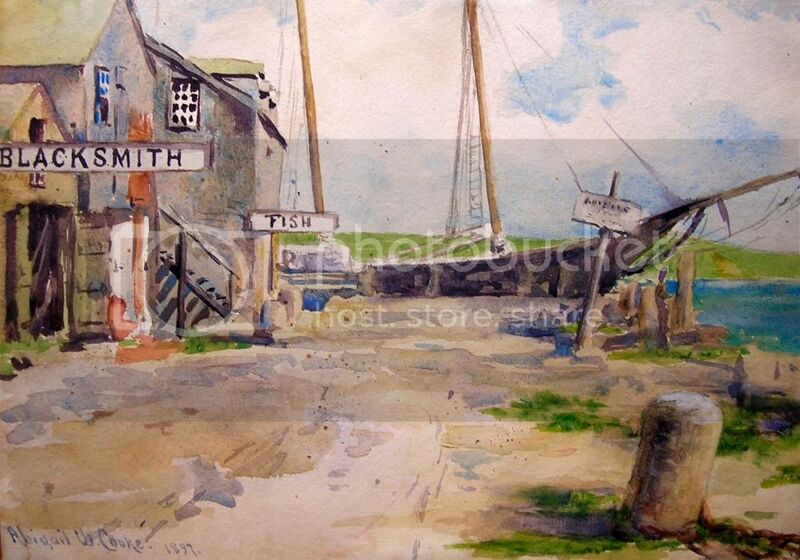 While there were, certainly, other artists painting in watercolor before Burleigh, such as the precisely rendered watercolors of S.R. Chaffee (1850-1913), Burleigh’s facility in the medium was unmatched. By 1896 he founded the Providence Watercolor Club and was teaching watercolor at the Rhode Island School of Design in 1897. 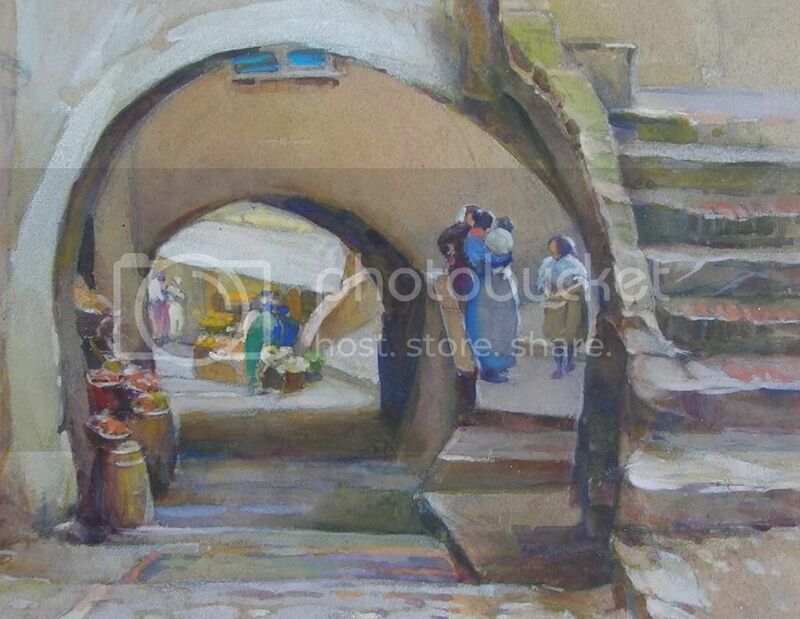 A new era of painters followed Burleigh and became adept in the medium, taking command of the nuances of pigment on paper, including the talents of Mabel Woodward (1877-1945) and H. A. Dyer (1872-1943), who clearly established their craft in a series of European travel images on exhibit. The 20th century ushered in a modern era, and to that end, Edgar Corbridge celebrated in his watercolors of the 1940’s and 1950’s the clean, clear lines advanced so well by Edward Hopper. Corbridge renders still images devoid of figures where light and line dominate. Another Provincetown summer resident, Florence Leif, took a different tact. Her watercolors show colorful bleeding lines often blurring the horizon of sky and land during evening sunsets. These two artists elucidate the changing trends in watercolor technique in Providence and throughout the country from the early 19th century to the 20th. A collection of recent paintings by Kathy Hodge will be on view at Bert Gallery from January 13 through February 12, 2010. The gallery is located at 540 South Water Street in the Corliss Landing building in Providence, RI and is open Wednesday through Friday, 11am-5pm and Saturday 12-4pm. Monday and Tuesday by appointment. Parking is available on the street in front of the gallery or in the parking lot across the street. 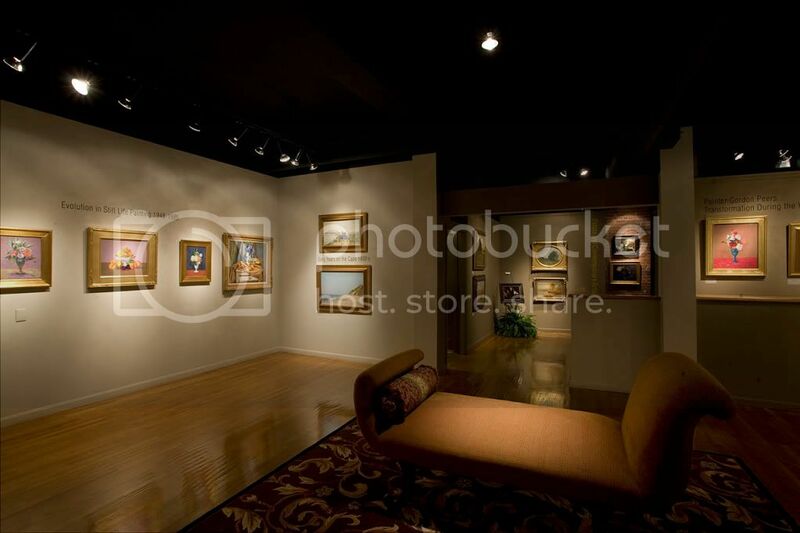 Visit our website at www.bertgallery.com to preview our inventory of paintings in the gallery collection. This latest body of work comes from a series of paintings of old-fashioned cast iron shoe making machinery at a small shop in Warren, RI. Fascinated by these heavy machines, Hodge made many sketches and charcoal drawings, leading up to this striking and colorful series of oil paintings. She is able to look beyond the harsh, oily exterior and capture the implausible beauty and grace of this industrial equipment. The delicate and precise brush strokes of the paintings reflect the intricacy of the machines, garnering respect for the careful craft of shoemaking. Some of the pieces turn utilitarian structures into abstract forms turning the seemingly mundane into a fantastical world of shape and color. Kathy Hodge attended Rhode Island School of Design and the Swain School of Design where she received a BFA in painting in 1980. She is greatly influenced by natural landscape and has been appointed eight times as artist-in-residence by the National Parks Service. 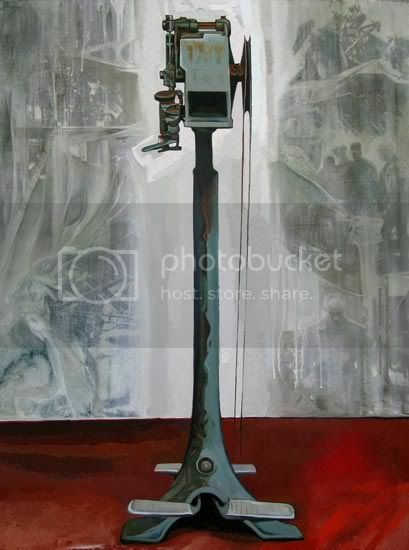 Hodge continues to paint in her East Providence studio, often producing works in series, such as churches, trains, and most recently, shoe making equipment. Bert Gallery Celebrates 25 Years in 2010! Bert Gallery celebrates twenty-five years in business in 2010. Founded by Catherine Little Bert and Hugo Bert in 1985, the gallery was located for seven years in the Biltmore Hotel and has exhibited the rich artistic heritage of Rhode Island. In 1991, Catherine Little Bert became sole proprietor and re-located to the present location in the historic Corliss Landing building at 540 South Water Street. Over the past twenty-five years, the gallery has organized 130 exhibitions, participated in 90 Gallery Night Providence celebrations, lectured and published on historic Rhode Island artists. The gallery website was launched in 2001; it documents past and current exhibits, videos and podcasts. More information about this celebration to come – stay tuned!